Jason Kontz, his wife Morgan and two children live on their farm in Coleman where they grow corn and soybeans and have a deep pit finishing barn. Jason also serves as a Fremont Township Officer and was previously a director on both the SD Corn Utilization Council and SD Corn Growers Association boards. 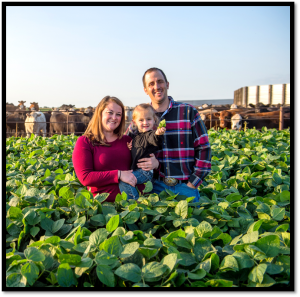 Jason and his wife recently transitioned all of their acres over to no-till and plan to add cover crops to their soil management plans in the future.